The 2014 Chrysler 300 is a big four-door, five-passenger luxury sedan with plenty of performance for some serious driving pleasure in a family cruiser. From potent V6 to ultra-high-performance Hemi V8, the 2014 Chrysler 300 also boasts numerous trims and features galore - enough to satisfy the most discerning luxury American-car buyer. Big four-door sedans with big V8 engines used to be the standard in American luxury cars, according to the auto reviewers. That's mostly given way to smaller and more fuel-efficient V6 and turbocharged four-cylinder engines, but the 2014 Chrysler 300 is one of the last of the breed - and more, so much more. Even more effusive, Kelley Blue Book has this to say: "And the Chrysler 300 has road manners that are world-class, with a ride quality that matches the upper-end Lexus models and handling that competes with some of the best German sports sedans." Commenting on the 2013 model, Consumer Reports says that the "300C flagship is muscular and luxurious, and one of the best large sedans on the market." Not many owners of 2014 Chrysler 300 have yet posted their comments on review sites, so the comments here pertain mostly to 2013 models. There is some love-it and some leave-it language, as certain owners have had very good experiences with the large luxury sedan, while others, not so much. Among the pluses are that the 300 is a "cool and nice riding car," "it's a sleeper but wakes up the road instantly," and styling, luxury, gas mileage, quiet and classy interior. Complaints include no spare tire, new shift lever is difficult to operate when shifting immediately from reverse to drive, cell phone did not pair and engine a little sluggish on acceleration (300C with AWD). 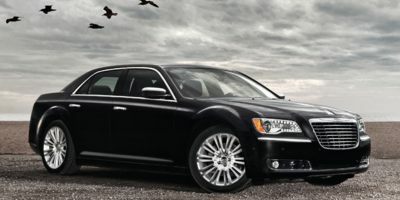 There are six major trim levels available in the 2014 Chrysler 300: 300, 300S, 300C, 300C John Varvatos Luxury Edition, SRT8 Core and SRT8. But there is nothing base about the entry-level 300, according to test drivers, who note that the base 300 has such standard luxury features as heated mirrors, keyless entry/ignition, cruise control, auto-dimming rearview mirror, heated front seats, leather upholstery, an eight-way power driver's seat with four-way power lumbar adjustment), tilt-and-telescoping steering wheel, Bluetooth phone/audio connectivity, six-speaker sound system with CD player, iPod/USB connectivity, satellite radio and an auxiliary audio jack. On the outside, 17-inch alloy wheels are standard (19-inchers with all-wheel drive) and automatic headlights. In the Chrysler 300S, there's a bump of 8 horsepower in the V6 engine, plus 20-inch alloy wheels, performance tires (19-inch wheels with AWD), touring suspension with Sport mode and transmission shift paddles, remote start, an eight-way power passenger seat (with four-way power lumbar), a rearview camera, 10-speaker Beats by Dr. Dre sound system, piano-black accents in the cabin, fog lights, and unique black-out styling cues. Next up is the 300C, which tacks onto the base 300's list of standard equipment the following: 18-inch alloy wheels (19-inchers with AWD), fog lights, remote start, driver's side auto-dimming mirror, exterior chrome accents, heated/cooled front seats, LED cabin lighting, heated, power tilt-and-telescoping steering wheel, leather upholstery, heated/ventilated front seats, driver memory functions, power adjustable pedals, heated rear seats, rearview camera, six-speaker Alpine audio system, navigation system with Garmin-sourced software, and a power rear sunshade. TV viewers are probably familiar with the John Varvatos Limited Edition (named after the famous men's fashion designer). This version of the 300 features platinum chrome exterior trim, 20-inch wheels (19 in AWD), upgraded leather upholstery, extended leather trim, hand-sanded wood inserts, and the 300S's touring suspension and Sport shift features. The luxury sedan also sports Varvatos logos on the seats, an exclusive gauge cluster and clock with the Varvatos name. The SRT8 Core, meanwhile, gets more into the high-performance mode - although not full bore as the SRT8. In the SRT8 Core, the additions include the 6.4-lter Hemi V8, special 20-inch wheels, Brembo brakes, performance-oriented three-mode stability control system, launch control, sport-tuned steering, cloth-upholstered sport seats, and black exterior accents. The SRT8 has different 20-inchers plus a three-mode adjustable sport suspension, adaptive and auto-leveling bi-xenon headlamps, front and rear parking sensors, sport seats with leather and faux suede upholstery, and most of the luxury features found on the 300C. Other standalone options include a panoramic sunroof and a 19-speaker Harman Kardon sound system. Drivers who are looking for a little performance in a large family sedan, but don't want to pay the price the German luxury makes charge, can find plenty to love in the 2014 Chrysler 300, say the automotive reviewers. Even the base 300 has a strong-performing 292-horsepower 3.6-liter Pentastar V6 engine that makes 260 pound-feet of torque. In the 300S, the V6 has a few minor tweaks that increase output to 300 horsepower. An eight-speed automatic transmission is standard, along with rear-wheel drive. All-wheel drive is optional. EPA-estimated fuel economy with the V6 and rear-wheel drive is 19 mpg city/31 mpg highway/23 mpg combined. In all-wheel drive, the numbers are 18/27/21 mpg. A 363-horsepower 5.7-liter Hemi V8 is optional (except for base and SRT8), delivering 394 pound-feet of torque. A five-speed automatic and rear-wheel drive are standard. All-wheel drive is optional. Here the EPA-estimated numbers are 16/25/19 mpg (RWD) and 15/23/18 mpg (AWD). Power for the SRT8 is a 470-horsepower 6.4-liter Hemi V8 that makes 470 pound-feet of torque. An eight-speed automatic with paddle shifters is the only transmission. Fuel economy numbers predictably suffer, coming in at 14/23/17 mpg. Among auto testers, the common feeling is that the sporty SRT8 grips and handles like a car half its size. Inside the 2014 Chrysler 300 is a wonder of luxury, style, elegance and grace, coupled with comfort, technology and convenience. So say the test drivers who write about such things as what it feels like to spend time inside new cars. Frequent praise is noted for the soft surfaces, the back-lit instrumentation that's considered "attractive" and the thick-rimmed steering wheel deemed just right for some serious driving. Seats hug driver and passenger well for long trips and for tight cornering. With plenty of luxury options available, the Chrysler 300 can be equipped with leather-stitched instrument panel cover, heated and cooled 12-way power front seats and more. The 300S has available two-tone color schemes, while the John Varvatos Luxury Edition features special wood and extended premium leather trim. Interior dimensions are particularly generous; a fitting environment for all sizes of occupants, say the auto critics. The driver's seat adjustability and tilt-and-telescoping steering wheel make finding a comfortable driving position a breeze. Meanwhile, the rear seats are supportive and spacious. There is one exception, though, and that is the middle rear seat, which is neither as comfortable nor of much use, due to the transmission tunnel hump in the rear-drive sedan. In the trunk, the 16.3 cubic feet of cargo space is considered average for a large sedan. For a family sedan, the expectation is for all the bells and whistles when it comes to standard safety equipment. Here, the 2014 Chrysler 300 doesn't disappoint. Standard safety equipment includes antilock brakes, side-curtain airbags, a driver's-knee airbag, and active front head restraints, hill-start assist, electronic stability control, traction control. A rearview camera is standard on all but the base 300. The available Safety Tec package adds a blind-spot warning system, a rear cross-traffic warning system and a forward collision warning system. In government crash testing by the National Highway Traffic Safety Administration (NHTSA), the 2014 Chrysler 300 received a perfect five-star overall rating, with five stars for total frontal impact and five for total side-impact testing. The Insurance Institute for Highway Safety (IIHS) gave the 2013 Chrysler 300 a top score of "Good" for moderate overlap front, side, roof strength and head restraints and seats testing and named it a Top Safety Pick. Since there are no major changes to the 2014 Chrysler 300, expect a similar rating for this year. In terms of reliability, no data is available yet on the 2014 model, but since it hasn't changed from the 2013 Chrysler 300, the reliability should be similar. In the J.D. Power Predicted Reliability rating, the 2013 Chrysler 300 earned a three and one-half circle score. That puts reliability between four circles ("Better Than Most") and three circles ("About Average"). Consumer Reports said that reliability on the V6 has been "average," while the V8 is "well below." Interested to see how the 2014 Chrysler 300 ranks against similar cars in terms of key attributes? Here are the 2014 Chrysler 300 rankings for MPG, horsepower, torque, leg room, head room, shoulder room, hip room and so forth.